In 2010, an empty rent office in Seacroft is being transformed into the Digital Lounge by a team of volunteers and the LS14 Trust. This is a socio-economically deprived area of West Yorkshire. Typically many of the kids living in the area do not have access to computers in their homes. Given the next decades skill-gaps will be set by early access to computer technology, Sustain-Able in conjunction with local business consultant from Ignite-me (http://blog-ignite-me.blogspot.com/) and IT specialist from Deres IT (www.deresit.dk ) decided that we would step up and offer a half day education program to help Nicola’s visions. What resulted was an afternoon of IT based Animation training session and a youth confidence building session. A handful of local kids were taught how to spend their time planning a story board and using a simple free online animation website called X-tra Normal, learn the basics of programming their own animation cartoon. This is an ongoing program that will be supported by Nicola’s afterschool care in the coming months before our next Animation Innovation sessions. 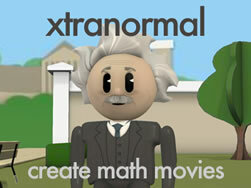 A typical Xtranormal animations confronts children with a number of skills challenges e.g. Planning, linguistic skills (e.g. writing dialogues into the program), understanding the different accents & languages available for different cartoon characters, planning of mis-en-scene in filming, understanding of the use of camera angles and of course, the use of sound effects & animation gestures/movements to enhance their storylines. Suddenly, our young budding animator was able to do his entire story board from beginning to end. This is the power of using positive thinking in youth education and also speaks of the need to create an Inspirational environment, that is outside of the classroom where children can exercise their imaginations without the rigidity of a classroom structure. This entry was posted on June 23, 2011 by ceciliawyu in Beautiful un-PC Fun things!, Education, Ethical Wealth/Health Generation, General, Innovation & Creativity, Social Enterprise, Working as an Artist.